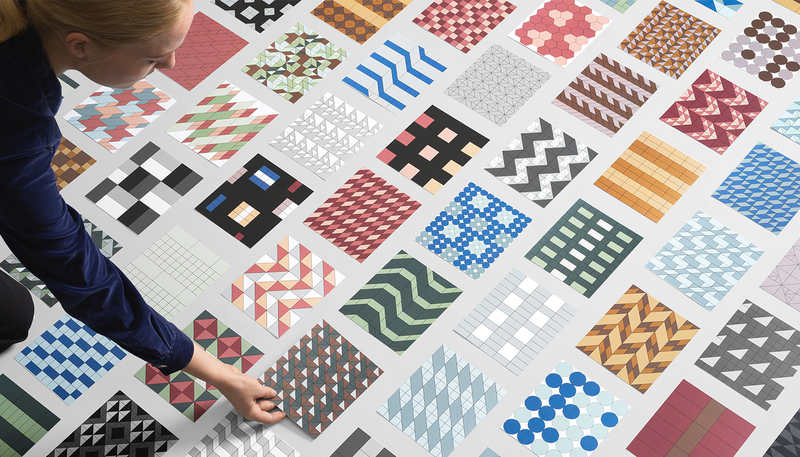 BAUX And Form Us With Love have created a pattern library of downloadable acoustic panel and tile designs: designers can now download pattern files for over 500 colourful acoustic panels and sound-absorbing tiles using an online design tool, created by Swedish brand BAUX in collaboration with design studio Form Us With Love. The new software – BAUX Pattern Tool – was created to offer “design guidance” to architects and interior designers, making it easier to create sound-proofed spaces using BAUX’s modular acoustic panelling. Users are able to browse through a library of patterns constructed from the brands sound-absorbing tiles and larger panels, which are made from wood wool – a mixture of spruce wood, water and cements. 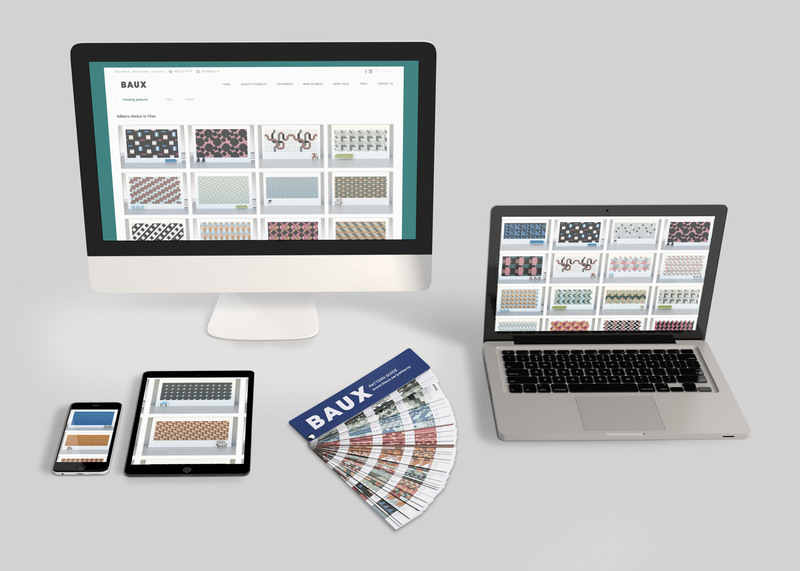 The BAUX Pattern Tool allows you to narrow your search by selecting either tiles or larger panels, and filtering by shape and size. It also shows trending patterns and “editors picks”. Patterns include chevron, check, herringbone, stripe and mosaic-like designs in a wide range of colours, suitable for many different interiors. “Patterns offers our customers a digital platform to explore and mix and match shapes and colours to create unique acoustic designs that can totally transform interior spaces,” said CEO and co-founder of BAUX Fredrik Franzon. 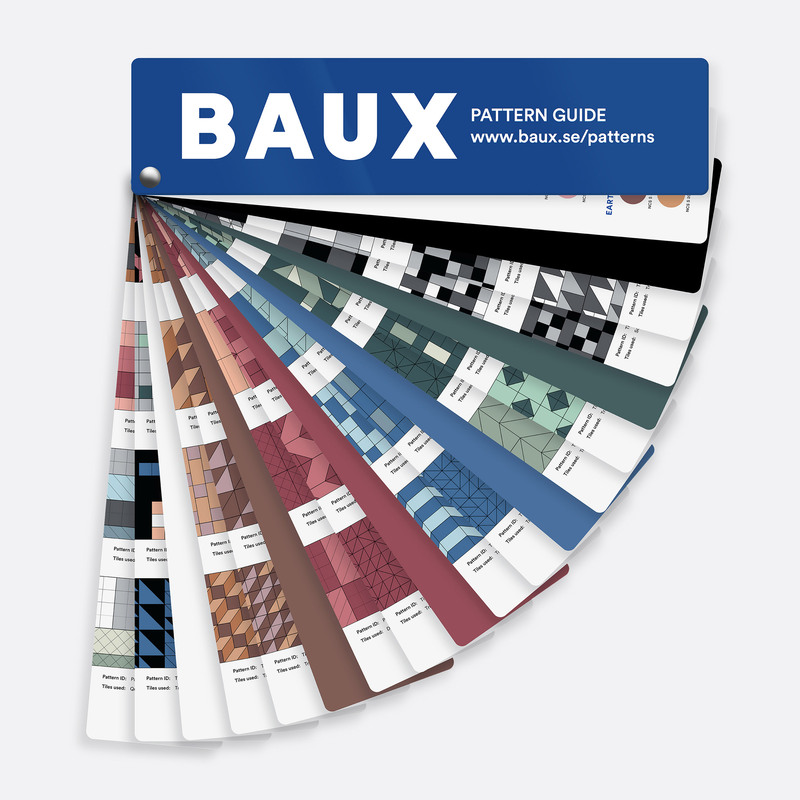 The brand intends for the BAUX Pattern Tool to save time for professionals, offering a “creative shortcut” and instant visual modelling. Users can download free 3D architectural files, images and AI files of their selected pattern. Each repeatable pattern measures to a predefined space and comes with a preview to save time on sketching and rendering. The brand likens the process to that of buying wallpaper, with speedy calculations and express quotes. “We wanted to make the design process simple. It should be easy for architects and designers to explore creative acoustic possibilities,” said Jonas Petterson, CEO of Form Us With Love and co-founder of BAUX. BAUX was established in 2014 by Jonas Pettersson, John Löfgren and Petrus Palmér of Form Us With Love and entrepreneurs Johan Ronnestam and Fredrik Franzon, with the aim of taking conventional architectural products and making them more sustainable and visually appealing. The brand has been creating modular wood wool panelling ever since. It is not only sound-absorbing but also insulating, and highly resistant to fire, mould and rot. BAUX now has ongoing projects in more than 40 countries and installations in headquarters like Google, Accenture, KPMG and Volvo. It has also recently invested in distribution and representation networks. 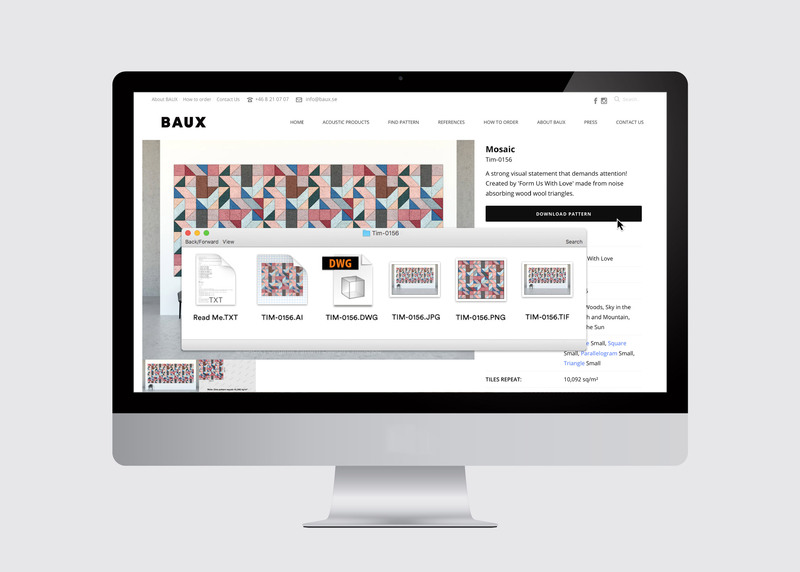 BAUX Pattern Tool was launched at this year’s Stockholm Furniture Fair and the company intend to regularly update it with new designs.